When it comes to little cameras that can go anywhere, the GoPro lineup is the beginning and end for those who are truly serious about their video. The GoPro Fusion is a 360-degree, waterproof digital camera that can record spherical videos at 5.2k resolution, and right now you can get it for an absolute steal. 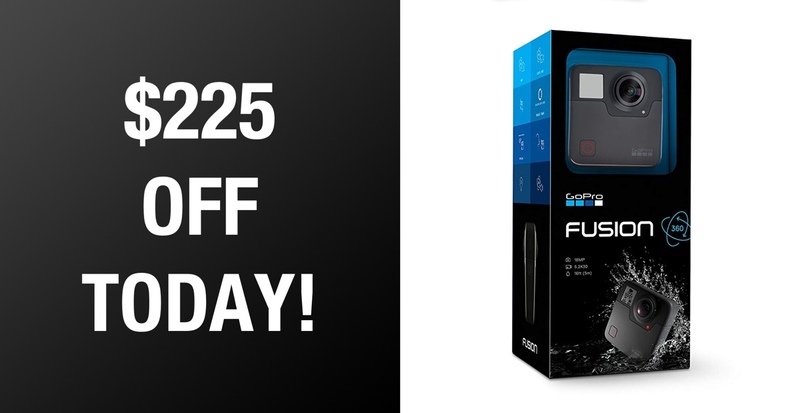 The price of the GoPro Fusion has already dropped to a super low price of $500, but there is an additional 5% coupon that can be clipped right now, bringing the price all the way down to just $474.05. That’s a discount that we’ve never seen this product achieve before, and it means a whole $225 discount from what you would normally be expected to pay to get your hands on this thing. Once you get the video onto your phone you can create full 1080p content out of it, and you can even crop 18-megapixel spherical photos to create standard photos that can be shared anywhere. It’s all pretty impressive stuff, and it’s all water resistant, too.